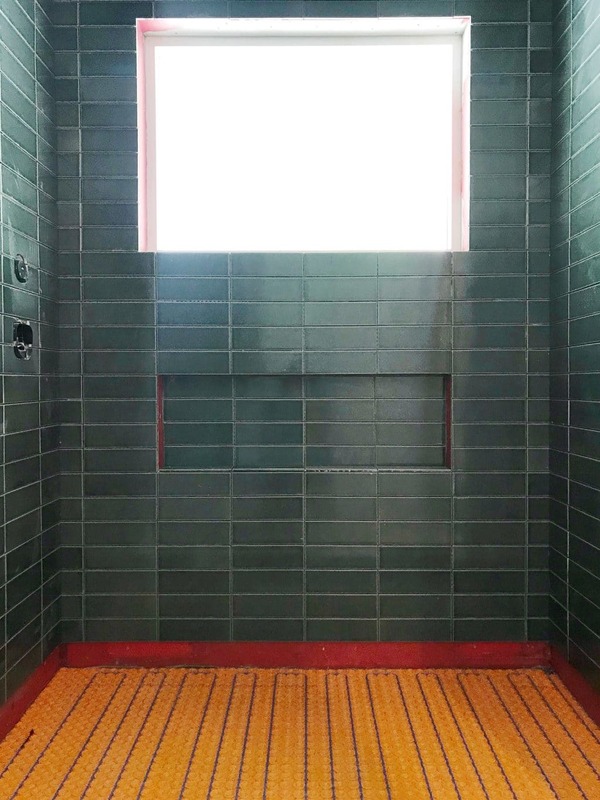 Designing our shower niche was something I spent an unusually long time thinking about. It could stem from the fact that we came from zero shower niches, just the smallest triangular shelf in the corner (worst, worst, worst) of our previous shower that we supplemented with one of those over-the-shower arm caddies. 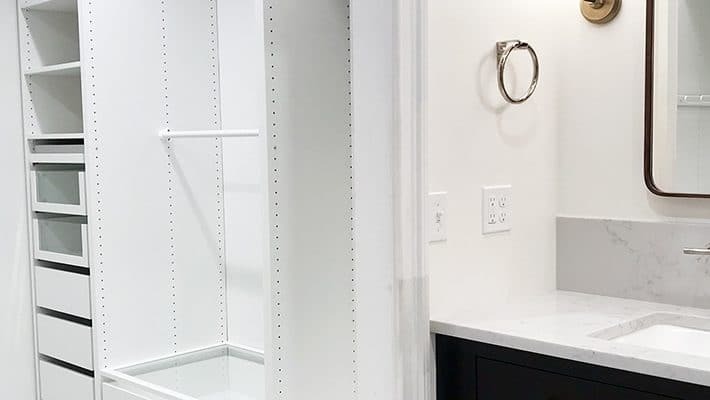 I was over the moon at the thought of ample, simple, built in storage in the shower, but the more I looked into it to see what was standard–I learned shower niches were anything but one size fits all. 1. Wall-mounted shelves. 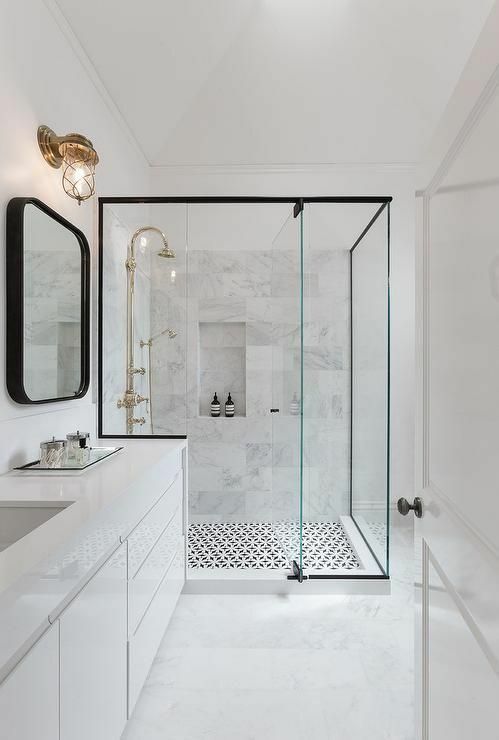 I love this option and if we did a marble shower or even a marble slab threshold I would absolutely consider a couple of wall to wall narrow shelves made of the same material as the threshold. So cool and unique and practical and functional. If you don’t currently have a niche–this could be an add-on option, too! 2. The Accent Niche. I think the accent niche can get dated quick if not executed correctly, but I ran into so many truly striking examples like the one below that work. I think the key is thinking about do I want this to be the focal point in the shower and if so, why? Maybe it’s to tie in another element of the bathroom or to break up a large span of tile. 3. The Obscure Niche. I thought I was completely against a pony wall, and then I discovered how amazing they could be for hiding all you soap! How perfect is that niche location? 4. The Super Tall Niche. I saw a few of these really tall niches that at first glance make no sense at all. It’s not like anything is a.) that tall or b.) going to be able to float in mid air to fill up that space. But in the case below, the tall niche works as a functional niche and a design element as it mimics the shape of the shower surround. Really striking. 5. The Double Niche. Hi, you’re popular. Lots of really good examples of this guy. Each person could have their own niche, or my personal favorite was a shorter niche (for razors and loofahs) paired with a taller niche for shampoo! Smart! 6. The Asymmetrical Niche. 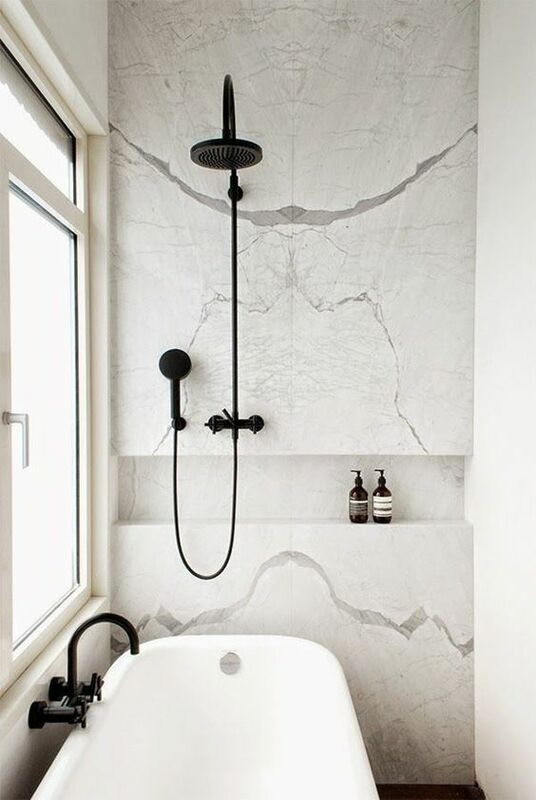 If you have an architectural or design element in your bathroom that’s off-centered, using a niche to balance it, like in the example below, makes it not only look intentional but g-o-o-d! 7. The Long and Linear Niche. Spanning the full wall, or a large portion of it, these niches are long and squatty (but linear sounds better, huh). The plus side? Plenty of room for everything, even if you go more narrow. After looking at a lot of examples, I knew what I basically wanted: Something long and linear, so that nothing was stacked behind anything else. (Moving slippery bottles of soap around to grab my razor wedged behind one gives me shower anxiety like no other.) And speaking of razors, I wanted it at a nice height to double as a ledge for me to prop my leg up on while shaving, and Chris wanted it high enough that he didn’t have to bend down so far to grab his shampoo. The other must have was no weird tile cuts. If we could pick any size niche that we wanted (which we could, we were starting from scratch!) then why would we pick one that makes it so our niche doesn’t accommodate full tiles? So to recap: 1. Long and linear. 2. Just the right height 3. No weird cuts. I went searching for answers–like, how tall should a niche be? And how deep? I polled our audience on instagram stories, I asked the owners of all my favorite niches I had pinned. I WAS DEEP INTO THIS! In the end, you gotta do what works for you! We measured our shampoo bottles and realized, for us, anything over 12″ was excess. We went 4 tiles high (just over 12″) and 4 tiles long (just over 36″) and 1 tile deep (3″)–no weird tile cuts. This accommodated every bottle we could find in our home–even the girls’ bulk shampoo. We’ll talk more about the tile next week (floors are going in today!!). It’s just over 24″ from the ground which is a comfortable height for me to prop a leg up and shave and not too low that we have to bend down and grab a bottle. 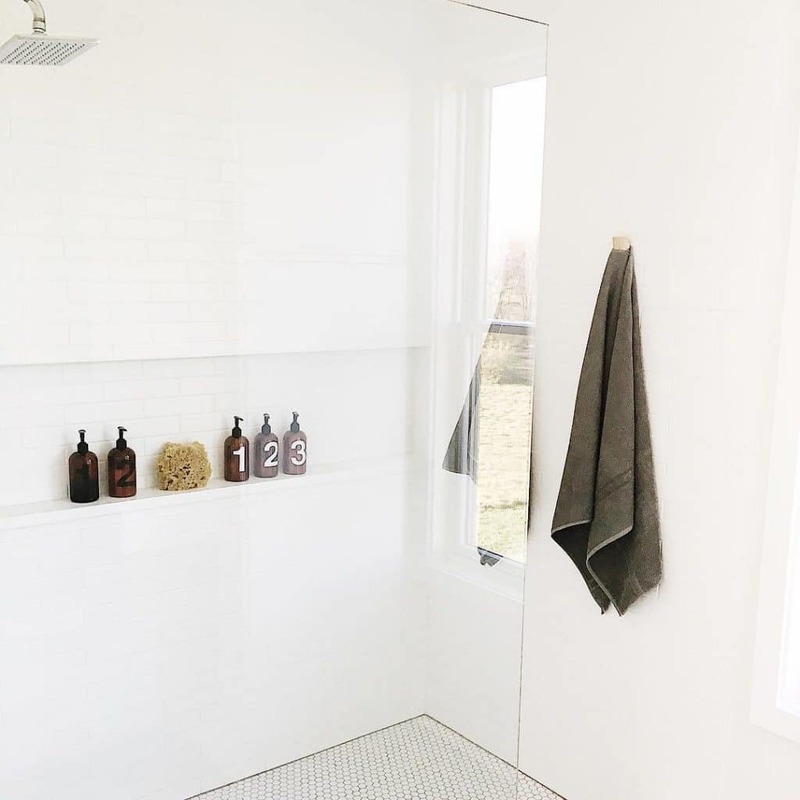 Luckily, the only wall that would work in our shower to put the niche on was the window wall (so that decision was clear)–the right side wall housed a pocket door, so there was no cutting into that. And the left side wall held all 6 of our shower controls, and that felt like enough of responsibility for that wall. Which kind of niche do you have in your home? Or maybe it’s one that I didn’t cover? When I was talking a lot about niches on InstaStories (I swear it was for dayyyysss), so many people sent amazing examples. Feel free to leave a link in the comments! 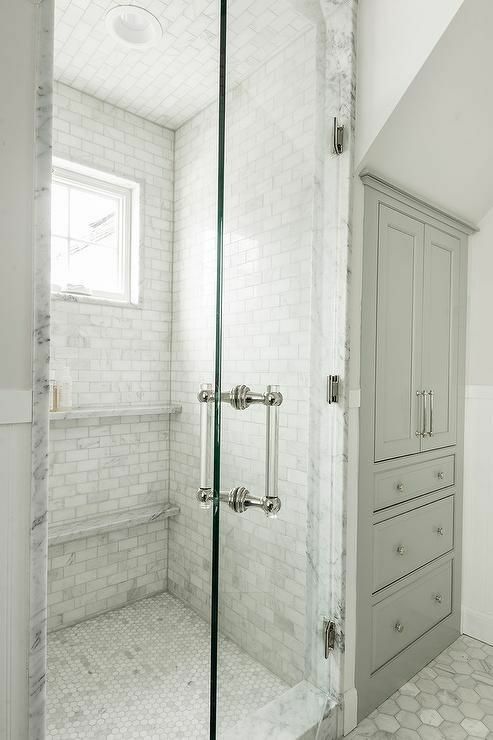 We are renovating our master bathroom and will have a corner shower with clear glass on the front and 1/2 side wall. I prefer corner shelves to a niche. 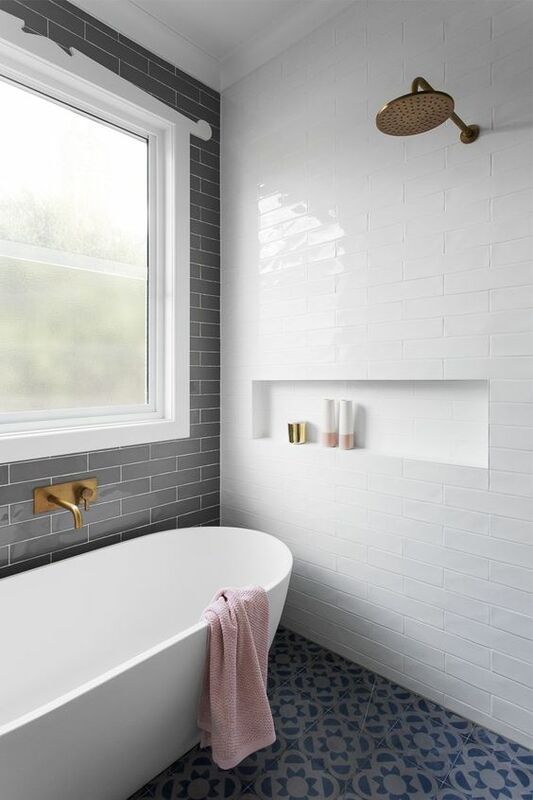 The contractor suggested doing two shelves on the corner under the shower head, which will be most visible when entering the bathroom, and one one the half wall so it will be hidden. I am also considering a niche or shelf for shaving. I am very intrigued by #1 above. How deep are the shelves? Would the lower ledge be strong enough to be used for shaving? 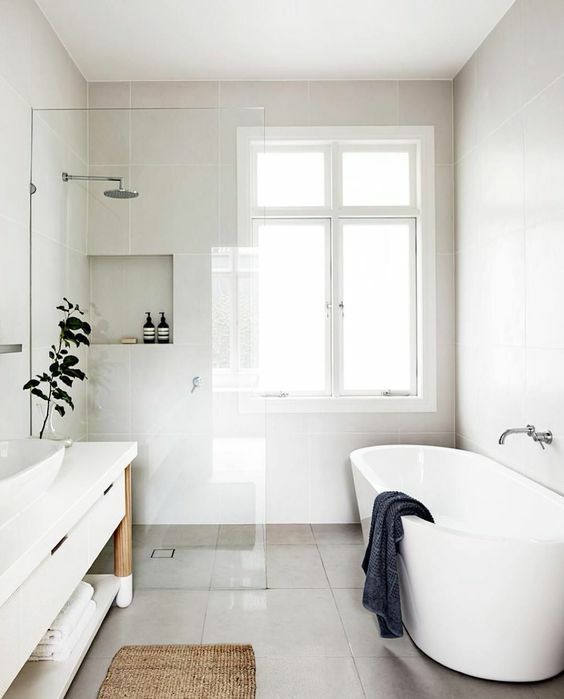 If I did two ledges instead of corner shelves, would they get too messy since they would be on the half-wall directly opposite the shower head? Should I consider putting them on a different wall? Any advice is appreciated. Thanks. I love the look of the wall-to-wall linear niche and am working out the design to incorporate this into our master bath shower re-do soon. Really dislike the extra tall niches since they don’t typically offer that much more visual interest and provide no additional storage space. Are you tall? 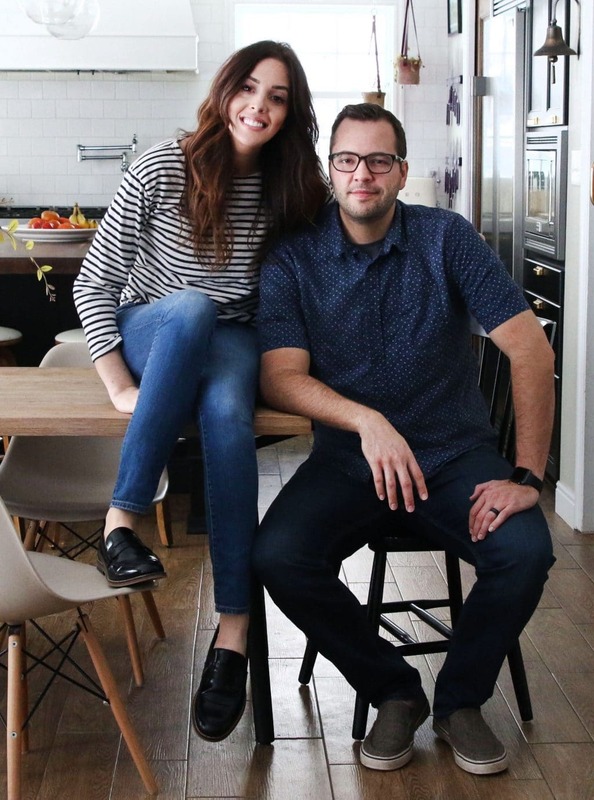 Is 24″ from ground too high to prop leg up if I am only 5’6″? Also, what is the total height of niche to support the tall bottles (like Costco size shampoos)? I like the long and linear. Do you worry about it catching water and building up mold quicker than a higher niche? Not really, but we’ll definitely keep you posted! I try to make my niches proportional to the shower shape. I love the look of long niches but it means cutting studs/creating a header, it seems excessive. Definitely looks best if you line up the tile. 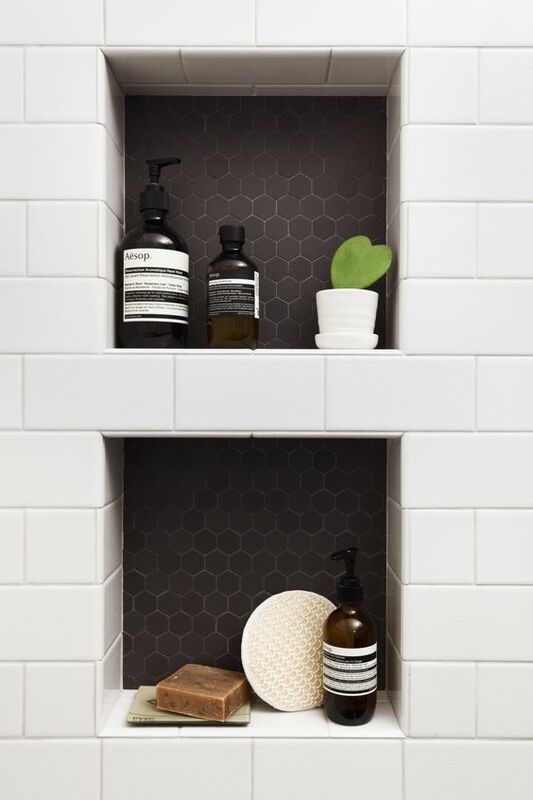 I prefer a minimal style so I don’t use accent tiles or schluter strips. have some niche pics on this pinterest page for my last house. These are all so good! I combined #2 #3 & #6 and have ZERO regrets! But all these niches. They are so so pretty and functional. Sigh. Next bathroom. I love watching your beautiful master reno progress. 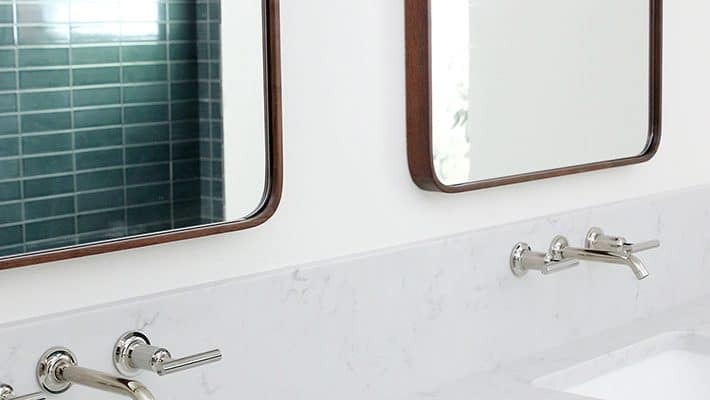 We, too, are in the midst of a master bath renovation. We are opting for 2 square niches. Our limitation is that only the wall with our plumbing is an inside wall. A niche on any other wall would eliminate or reduce insulation behind the niche. Soap and shampoo popsicles anyone? It turns out, the niche wall is not visible when you enter the room keeping any bottles out of the line of sight. 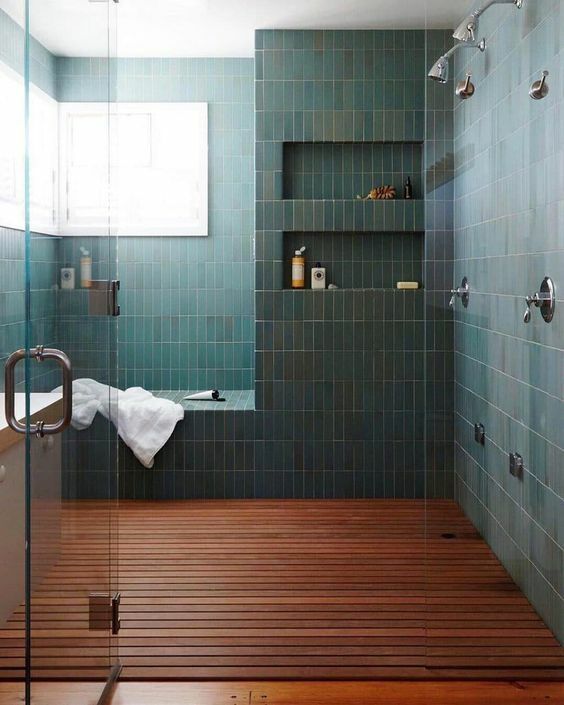 I can’t find the source for the teak floor shower–I really want this in my shower could you post the link? Your niche looks sooo good! I think having the niche be a long and skinny rectangle like the shape of your tiles helps! Oh, I’m SURE they get gross. You have to clean them just like anything else. But the alternative of not having one is….what? 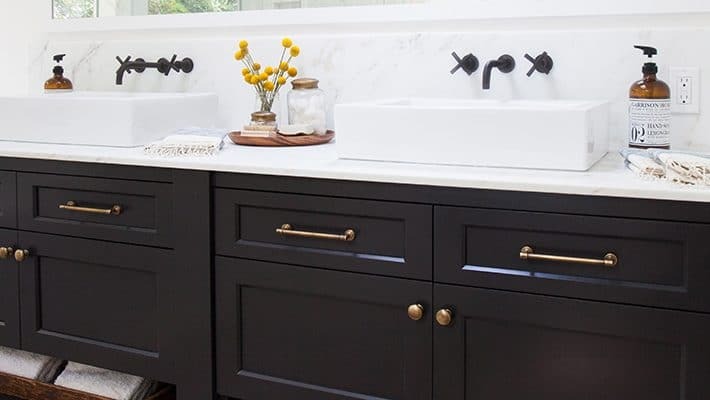 Oh man, that marble ledge in the first one is GORGEOUS. How have I never seen one like that before? I love it. Also, glad someone else in the world is as annoyed with weird cut tiles (when they can be avoidable!!!) as I am. Symmetry all the way! Beautifully done Julia! Simply gorgeous. My all time favorite is the niche hidden by the pony wall. I would make it long and narrow with only enough width to accommodate various bottles. A clean, streamlined look. 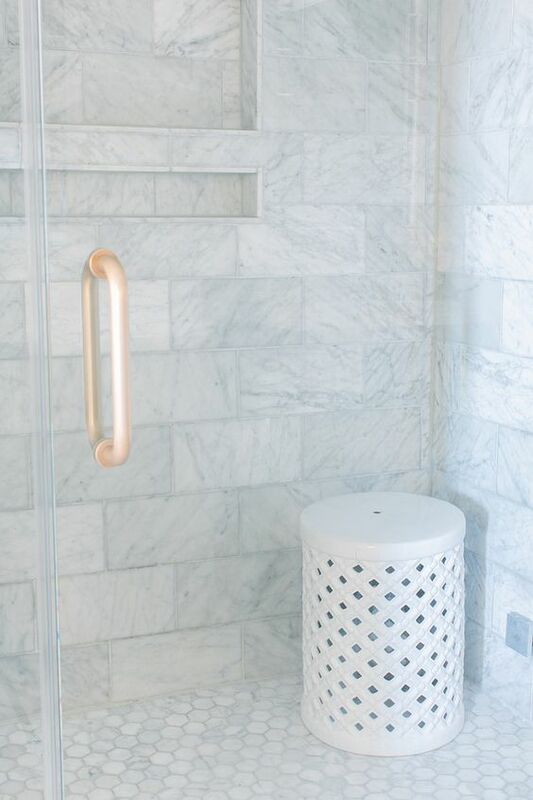 SO SMART to have a niche that doubles as a foot ledge for shaving! Really, it should be considered a foot ledge that doubles as a niche. What about the shampoos themselves? Do you remove them after every shower? Decant them into something fancy? Live with their ugliness? I was thinking the same thing. 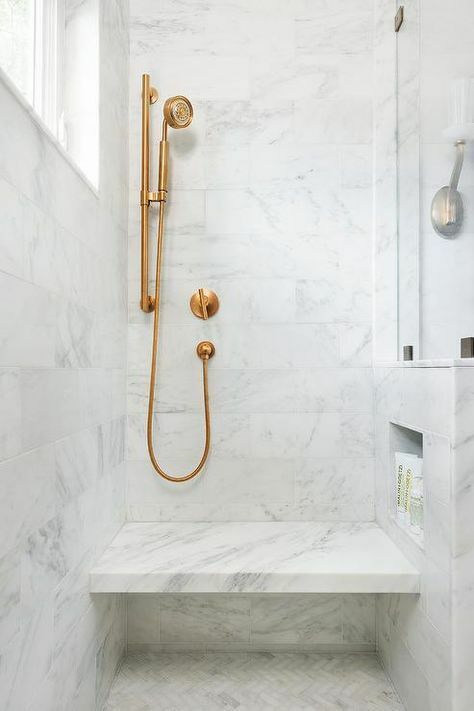 We currently have a shower niche that is front and center in our shower and I have thought of ways to hide ugly shampoo/ product bottles for some time. Would love to hear some thoughts and ideas on this! I don’t have a shower niche but I so have an exposed bathtub with shampoo bottles in the corner. I decant my shampoo and conditioner into plain pump bottles that are different shapes (one round, one rectangular) so I know which one is which. I’ve been using the same bottles for at least 10 years and just refill them with whatever shampoo we’re using every few months. It keeps the tub free from awkward sized bottles and I like the pump because I can control how much I use each time.